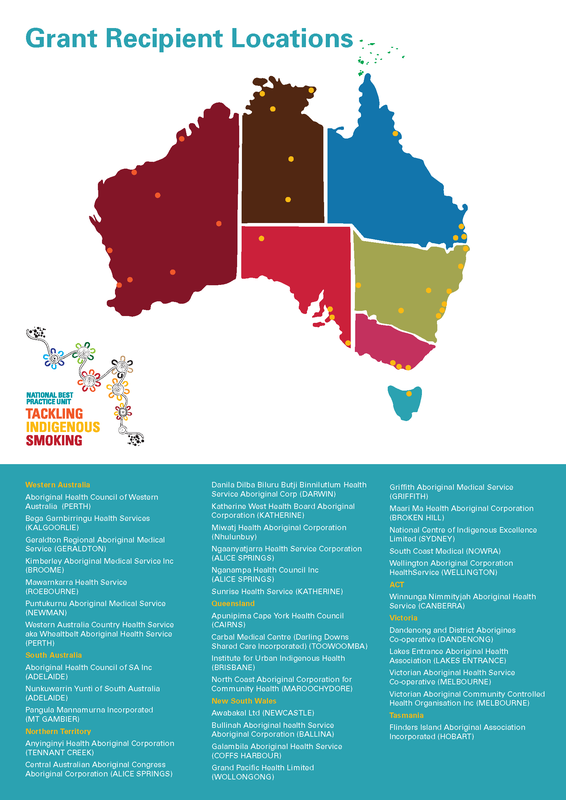 The Tackling Indigenous Smoking (TIS) regional tobacco control grants aim to improve the wellbeing of Aboriginal and Torres Strait Islander people through population health activities to reduce tobacco use. The grants have been awarded to 37 service providers across Australia. If you’d like to see what each TIS Team is up to, you can find further information on the TIS Team activities page.